The Angler exploit kit (EK) is being used to push a new variant of TeslaCrypt/AlphaCrypt ransomware. I've been documenting cases of Angler EK pushing AlphaCrypt in recent weeks . Last week on 2015-05-07, I started seeing a new variant . This new variant has a popup window that uses CTB-Locker-style instructions. As seen below, this variant doesn't provide a name for itself in the decrypt instructions. The same malware sample used a different bitcoin address for each host it infected. The traffic appears identical to what we've seen with previous infections from TeslaCrypt and AlphaCrypt. A few hours ago I infected a host from a site using Angler EK and received similar alerts from the network traffic. Shown above: Alerts from monitoring the infection with Security Onion. Shown above: HTTP traffic from the infection. Click on the image to see it full-size. 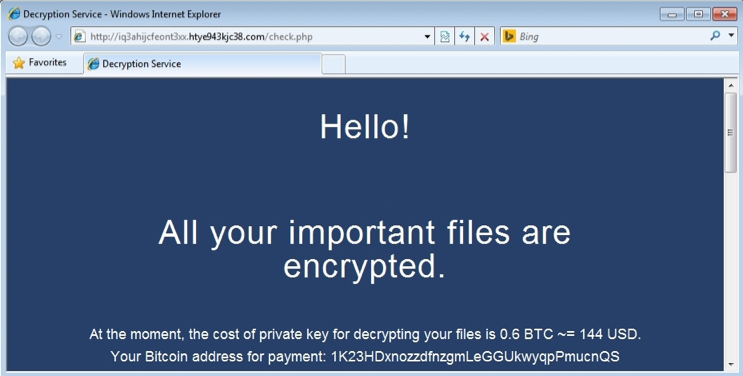 From what I can tell, TeslaCrypt and AlphaCrypt are very similar to CryptoLocker. 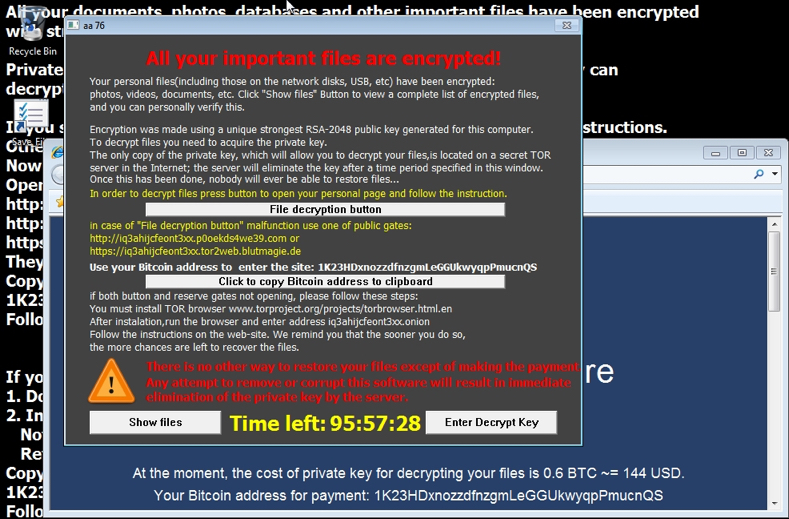 This new, unnamed variant appears to be another evolution from this family of ransomware. I've been seeing a lot of Angler EK lately. In recent weeks, more often than not, it's been pushing ransomware. Since 2015-05-07, I've only seen this new variant. Any specific directory or folder that this drops in?